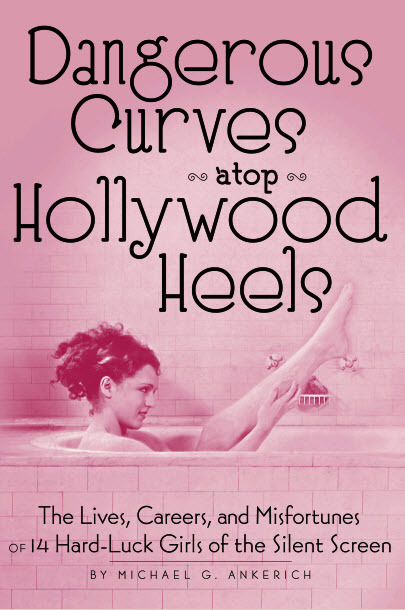 In Dangerous Curves atop Hollywood Heels, I examine the lives, careers, and disappointments of 14 silent film actresses, who, despite the odds against them and warnings to stay in their hometowns, came to Hollywood to make names for themselves in the movies. Dangerous Curves follows the precarious routes these young ladies took in their quest for fame and uncovers how some of the top actresses of the silent screen were used, abused, and discarded. Many, unable to let go of the spotlight after it had singed their very souls, came to a stop on a dead-end street in Hollywood: Heartbreak Lane. Beyond fantastic title! This is on a must read list!